Don’t you love it when projects are so simple? 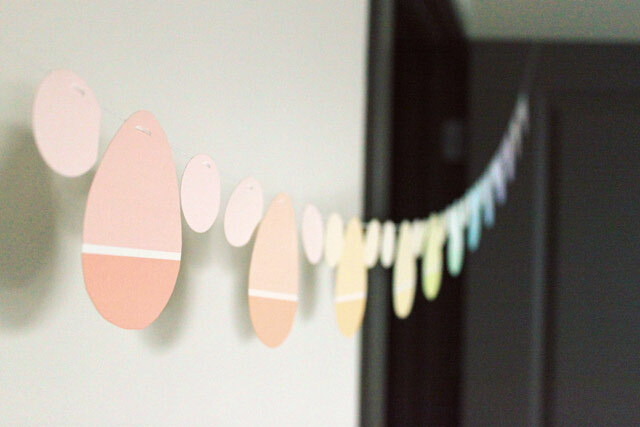 Stop fumbling with plastic spoons trying to triple-dip stripes onto your Easter egg. 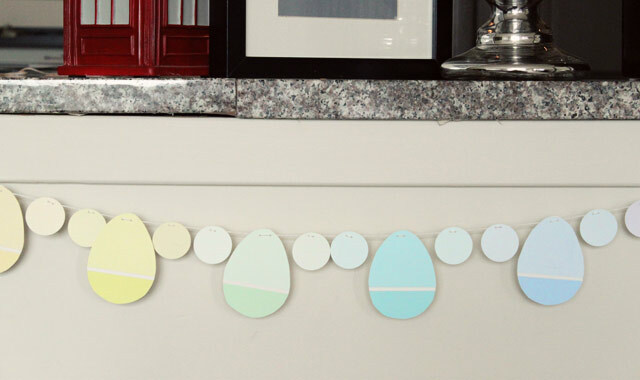 You can get the same colorful pattern, in a convenient 2-dimensional form, without any dye stains thanks to this paint chip Easter egg garland. The idea came from Modern Parents Messy Kids. All you really need to do is buddy up to the paint guy at your local home store and grab a punch of paint chips. Go rainbow, go monochrome. Whatever! 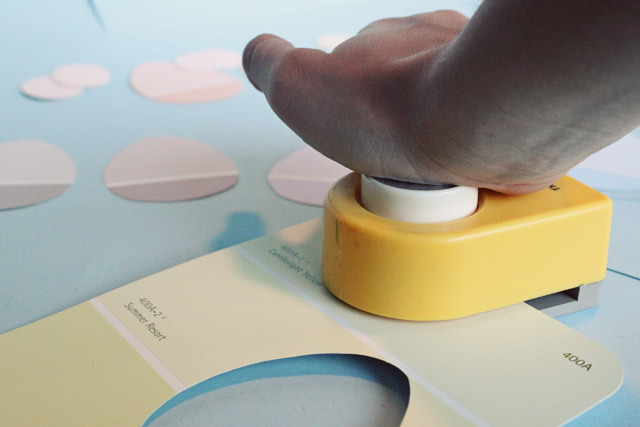 You could even extend this to a birthday party or any other occasion by cutting out different shapes from your paint swatches. Color-coordinating party decorations has never been easier. Ready to get started? 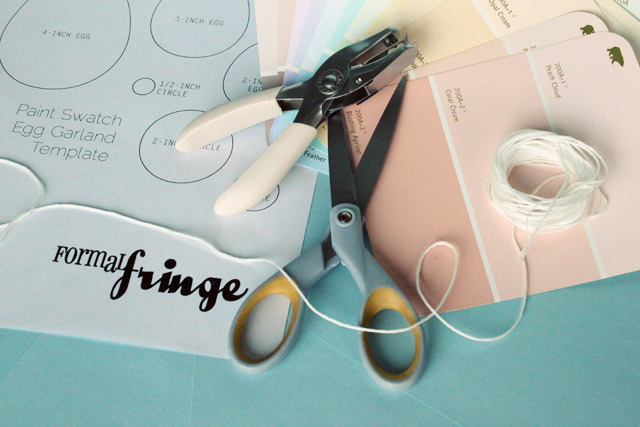 Grab your chips and some craft supplies and let’s get going. 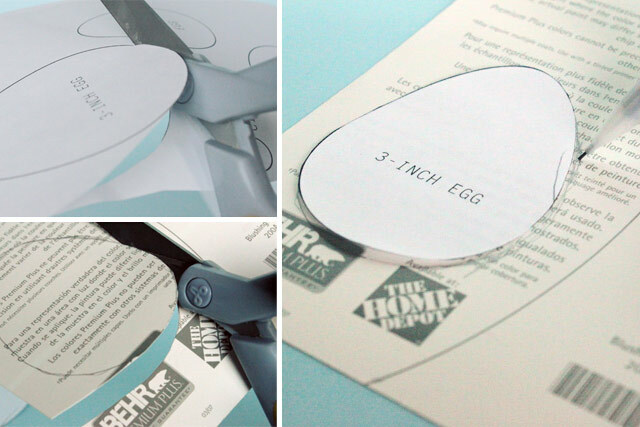 We’ve created this template to make cutting egg shapes easier, but you don’t have to follow our lead. You could just as easily freehand your shapes or cheat a little and use a craft punch. 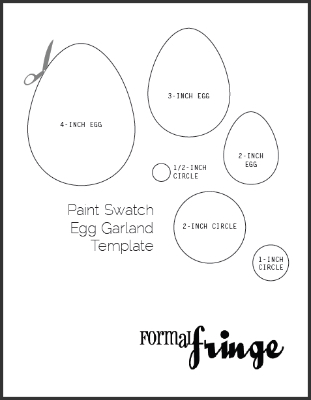 If you’re using our template, print it out onto card stock and cut out the shapes you want to use. We used the 3-inch egg. 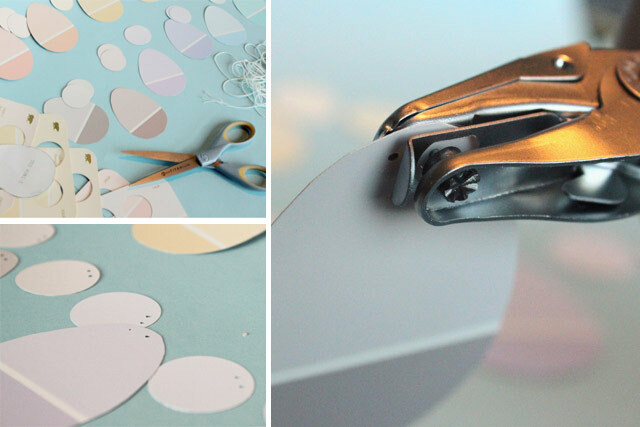 Trace it onto the back of one of your paint chips, being careful to line it up with the pattern on the front of the card so the stripes show where you want them to, then cut your egg out. Keep going until you’ve cut out all your eggs. Then get started on the circles. We cheated here, using a 1-inch craft punch. 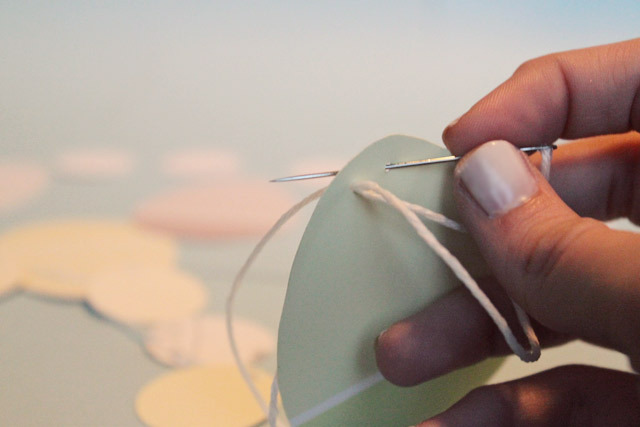 Once you have all your shapes cut out and sorted, you’re ready to get stringing. I seriously recommend using embroidery floss to string your garland. It’s simple, beautiful and—most importantly—has just enough heft to keep your shapes from sliding down the string. But first things first, let’s punch some holes! Once they’re all on the string, space ’em out and hang ’em up! See? Easy. 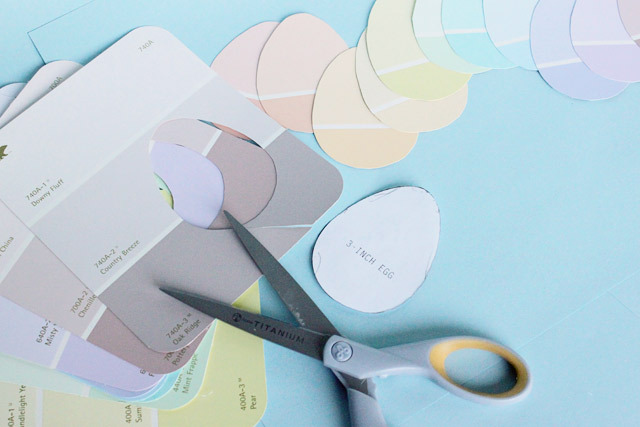 And it might even inspire you to paint your walls after hanging pastel paint swatches on the mantle!